Cape Town - Chippa United head coach Teboho Moloi looks like he may have the option of unleashing fit-again Mark Mayambela on Kaizer Chiefs. The former Orlando Pirates and Ajax Cape Town playmaker last played a month ago when the Chilli Boys beat Cape Town City 2-1 in a match in which he fractured his foot. Mayambela has missed Chippa's last five matches as a result, having featured in six games prior to that. 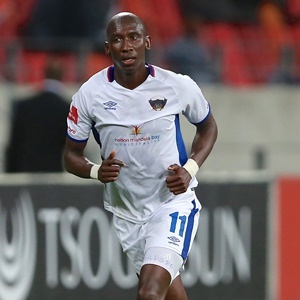 Speaking to KickOff website, the 30-year-old says, however, that he's confident of being available for selection when Moloi's side take on Chiefs at the Nelson Mandela Bay Stadium on December 6. "I am fine now," he said. "I have been working on my fitness and will join the team for full training and ball work on Wednesday. "I hope I will be ready for the game against Kaizer Chiefs." The Eastern Cape club are seventh in the Premiership table, but only three points behind leaders Baroka FC.